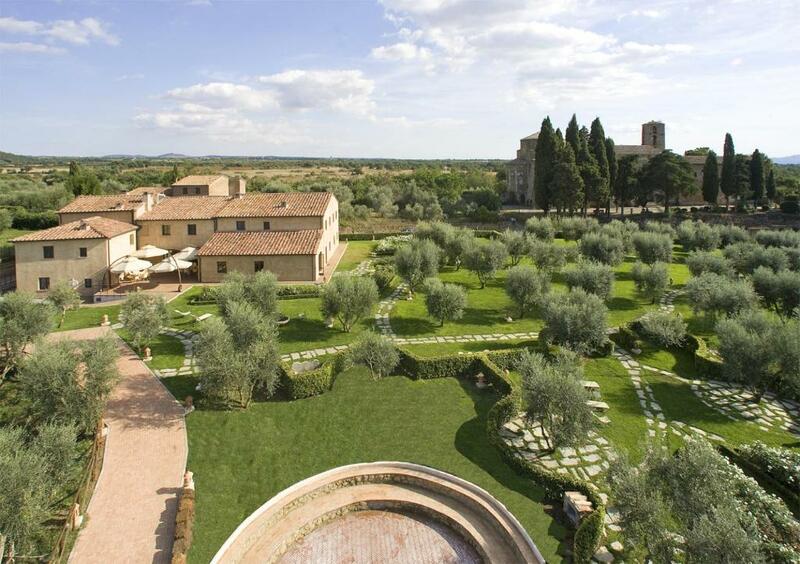 Lock in a great price for Sovana Hotel & Resort – rated 8.9 by recent guests! 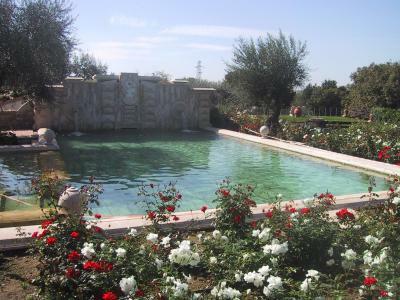 Lovely garden and situated in a beautiful part of southern Tuscany. The very quiet hotel is in a huge, very nice park with lots of olive trees, statues, benches, a swimming pool, and a labyrinth; all of which are very well kept. 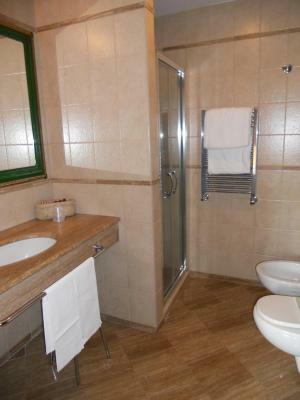 Large well equipped bathroom. During the week (end of June) quite empty. Would be ideal for honeymooners. Just across the famous middle-age cathedral. 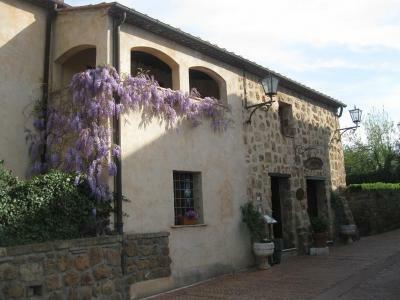 Beautiful location, authentic medieval village, nicely renovated building quiet place. Very helpful and friendly staff! Would definitely stay here again! What an amazing hotel, from the beautiful building and the studding gardens. I absolutely loved this resort and i will go back soon! The pool is amazing, fresh water perfect for the hot weather! And luca was very attentive to our needs! Honestly 3 nights here was perfect, peaceful & sovana it self is also beautiful! Comfortable room facing a lovely garden. Spacious bed. Breakfast was good, especially coffee and salami/ham. Right on Sovana main street, this awesome resort is the perfect place to enjoy Tuscany essence. Rest in the big and beautiful garden full of olive trees (and even a labyrinth...) or in the swimming pool area. Sleep in cozy and quiet rooms. Have a good breakfast inside or in a nice court under big umbrellas. Service is friendly and helpful, price pretty convenient. An internal parking is available, free of charge. Highly reccomended. Located in a small town/village. Short way to the centre The old building was prepared excellent for this accommodation. Excellent secluded grounds with a lovely swimming pool. All very secluded in a beautiful quiet little village. Sovana Hotel & Resort This rating is a reflection of how the property compares to the industry standard when it comes to price, facilities and services available. It's based on a self-evaluation by the property. Use this rating to help choose your stay! Admire olive groves and the 12th-century cathedral opposite the Hotel & Resort from your window and enjoy complete tranquility and great service at this friendly and well-maintained hotel. Interiors feature traditional wood décor and make great use of the famous local tufa rock. With its characteristic setting, the Sovana Hotel & Resort is the perfect choice for exploring this part of Tuscany. Sovana, once the capital of this part of the Maremma and birthplace of Pope Gregory VII, has ruins and ancient buildings to explore as well as Etruscan tombs. Pitigliano, with its unforgettable views and stunning positioning is just a few miles away, as are the hot springs at Saturnia. 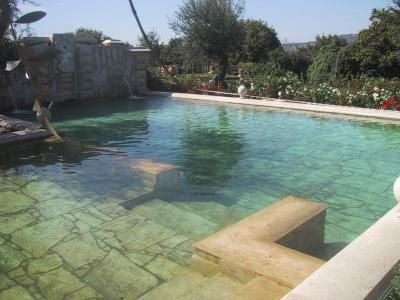 This property also has one of the top-rated locations in Sovana! Guests are happier about it compared to other properties in the area. 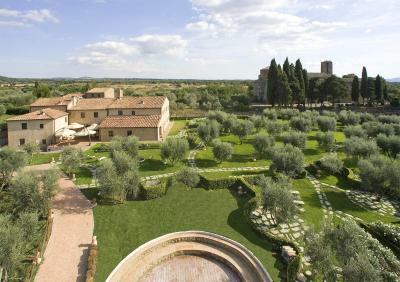 When would you like to stay at Sovana Hotel & Resort? This room features air conditioning, a TV and a mini-bar. The private bathroom includes a hairdryer and free toiletries. Overlooks the cathedral or the park. House Rules Sovana Hotel & Resort takes special requests – add in the next step! ATM card Sovana Hotel &amp; Resort accepts these cards and reserves the right to temporarily hold an amount prior to arrival. Sovana Hotel & Resort accepts these cards and reserves the right to temporarily hold an amount prior to arrival. Half of the staff does not speak English. We've managed everything, but it was surprising. Room was cold first night, got a second blanket and asked for a higher room temperature. Great stuff. Good coffee for breakfast. There was no restaurant or place to eat at the hotel itself. Casual and comfortable. Great location. A beautiful property in a beautiful location. not to reflect negatively on the property, but a fact to consider: the road to Sovana is not the easiest...but if you’re like us and you really enjoy negotiating steep hairpin turns in an underpowered rental car with manual transmission, it’s absolutely worth the trip! breakfast was a rather limited affair. go early. the atmosphere, the garden and the location are perfect. I did not stay long enough! Great breakfast and staff is wonderful!